The actual meaning of firewall is a wall or partition designed to inhibit or prevent the spread of fire. This is exactly how a firewall in an Android works.Firewall restrict/prevent apps or any software from using internet services. In Windows operating systems, Firewall is a built-in feature which is included to protect the device from harmful software installations, restricting internet access and security threats. Sadly there is no such feature in Android. 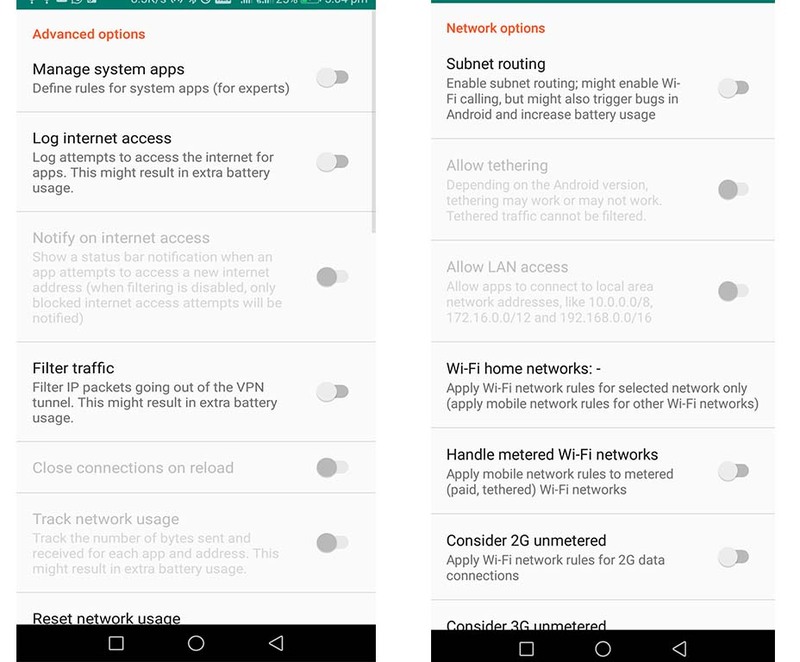 However, with the introduction of Android 5.0 lollipop, VPN is made a built-in feature which will be used by 3rd party apps to perform actions that firewall does. Previously, these kinds of features are only available for rooted devices. But now, with the introduction of lollipop 5.0, this feature is supported by all Android devices that run on Android version 5.0 and above. 1. 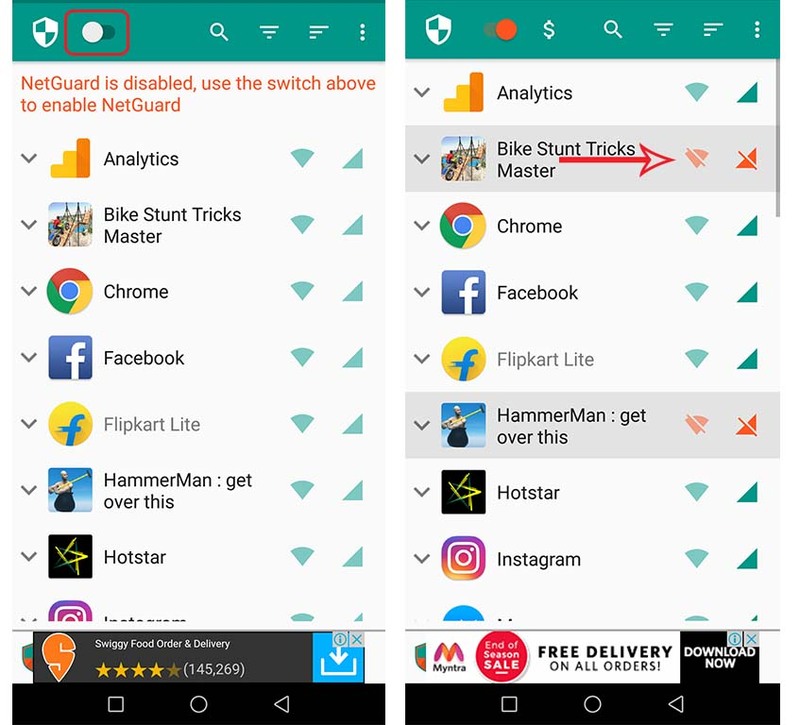 Suppose a situation where you wanted to block internet connection for Snapchat and WhatsApp but still wanted to use Google Maps or any other app, this is where a firewall comes in handy. 2. Remember those video ads in between the game, they are so annoying, right? Don’t worry, now with the help of a firewall you can restrict any game from accessing the internet so that they can’t download ads. 3. Apps like Facebook and Reddit run in the background using lots of resources and internet which might be problematic while you are running out of mobile data. So, Firewall usage might be a better option in such cases. Just block it from accessing your mobile data and enable it when you wanted to use it. Firewall setup process is super simple and pretty straightforward. All you need to do is install a cool app from the apps listed below that can prevent your mobile data access. 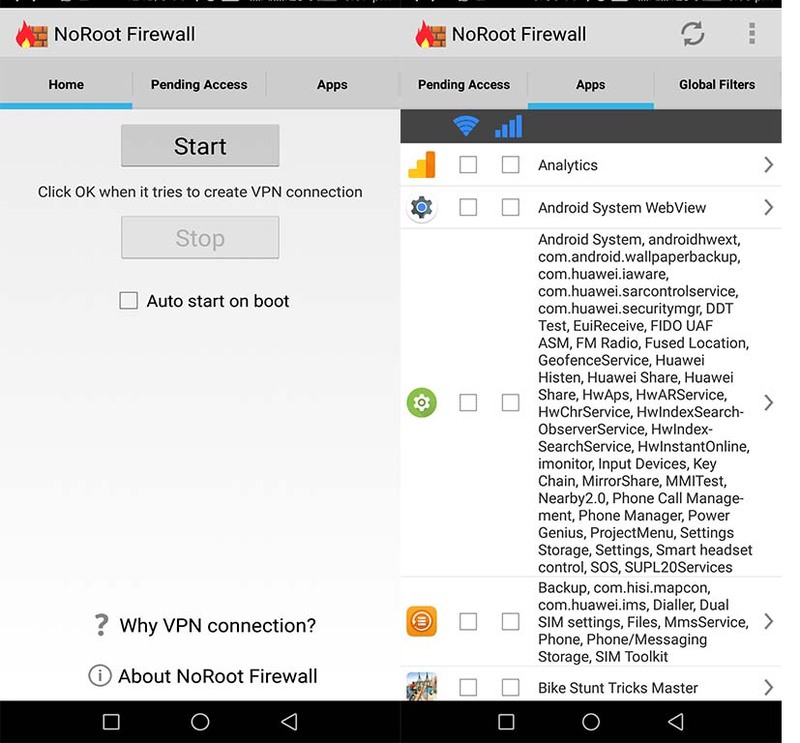 This is one of the best firewall apps available for non-rooted devices. NetGuard no-root Firewall is a simple but very effective app for doing things it supposed to. When you open the app and enable, it asks permission for using VPN services to make a VPN connection. It’s a mandatory to grant all the permissions it is asked for. At first glance, you will see all the apps that are installed on your mobile with wifi and mobile data icons next to them. To disable mobile data for a particular app, all you have to do is click on the mobile data icon next to it. If it turns red, then it means the mobile data is disabled for that particular app. If you wanted to prevent an app from using wifi, then click on wifi icon next to it. If you are a networking expert and wanted to know more things like the IP address apps connecting to, you need to buy those pro features. There are many pro features, but you have to buy every feature separately. 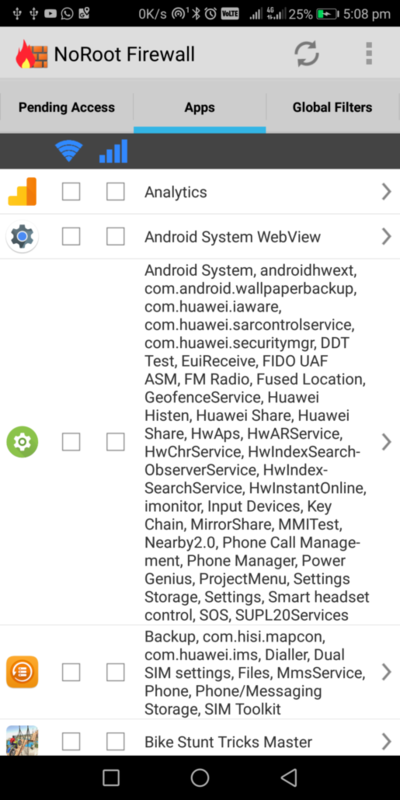 This is another app in this list that does the job of a firewall but for Android. This app is pretty much same as the previous one but has little difference. note: This app also uses the VPN feature to establish a VPN connection. So, you can’t use both firewall apps at the same time. 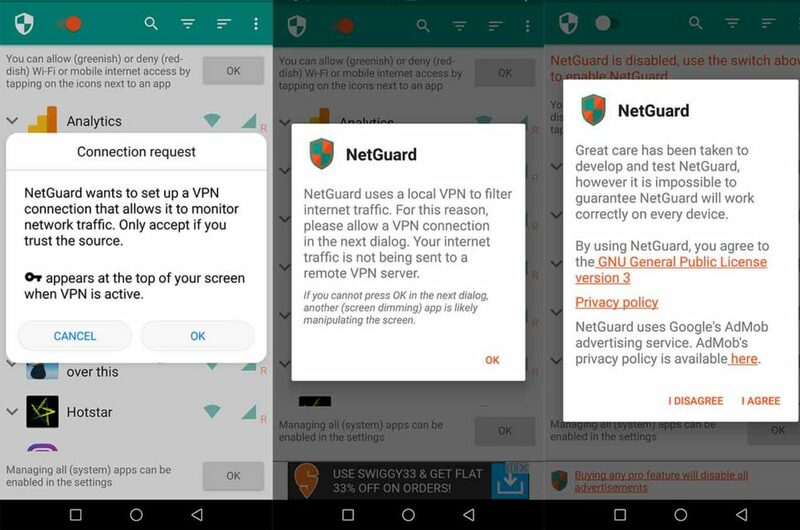 Unlike Netguard, this app disables internet access to all apps by default and as soon as app seeks an internet connection, it shows up in the pending access tab. You can also see the port and IP address it is connecting to. If everything is good, then you can allow internet access to it by clicking “Allow” button next to the app. Since these apps create a VPN connection, you might have thought that these apps are secretly transmitting data to other servers and killing your privacy. But no, these apps create VPN connection just to block internet connection to other apps. These apps will never transmit any data to any other servers.